While the Indian government dissuades citizens from drinking wine by levying high taxes and making the procedures complex and too difficult to follow, the Russian President Dmitry Medvedev made an encouraging statement last week that Russians should drink more wine to fight widespread alcohol abuse. 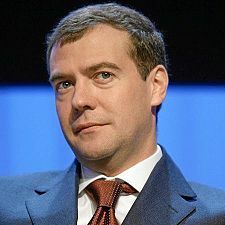 ‘Wine Sector is one of the segments that should be developed and contribute to the eradication of alcoholism,’ President Medvedev said at a meeting with the governor of Russia’s southern Krasnodar Territory — a region with a sizable local wine industry, according to a report in Decanter. ‘Countries where this sector is strong have no problems with alcohol abuse: problems with alcohol abuse stem from other drinks,’ he was reported to have said, indicating that this was not a mere political statement bordering on theatrics but his genuine belief that wine drinking can realistically keep the alcohol consumption in check.